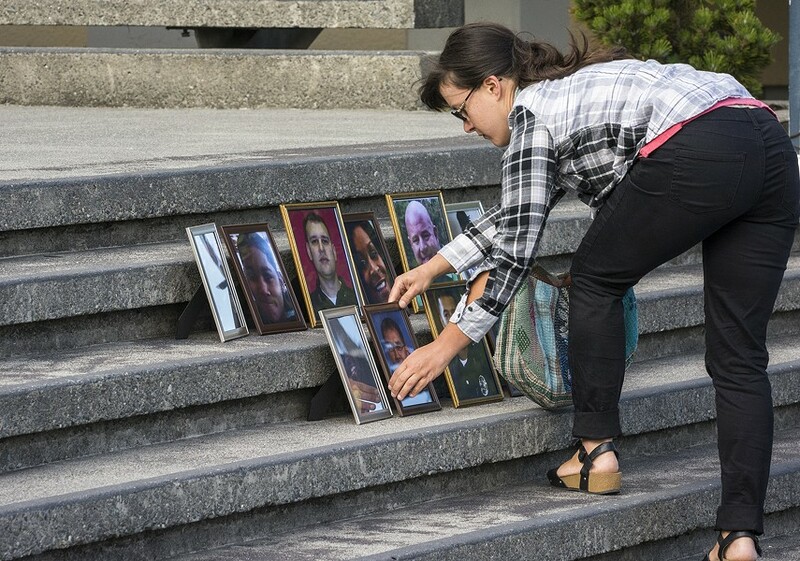 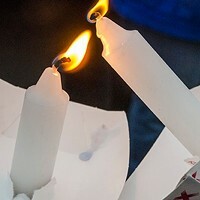 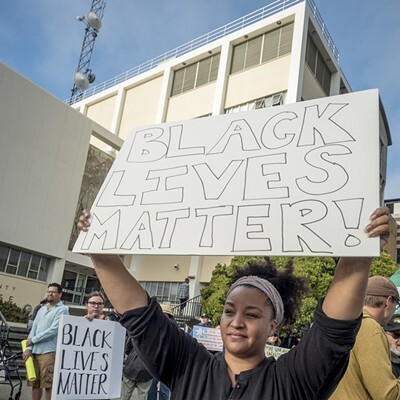 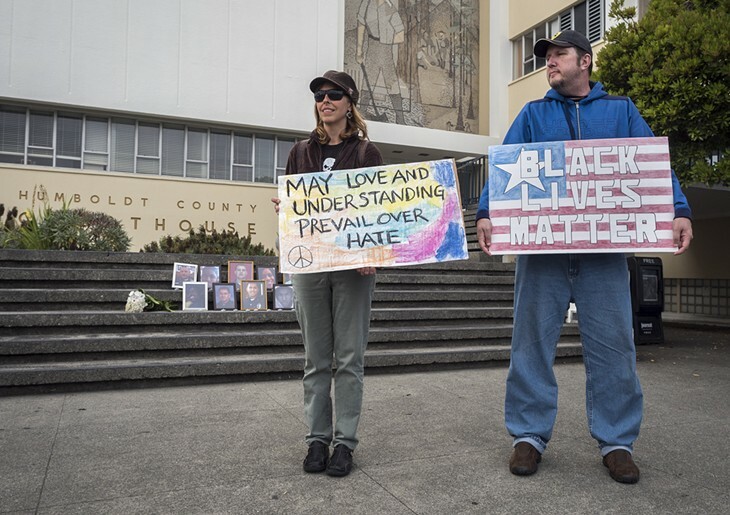 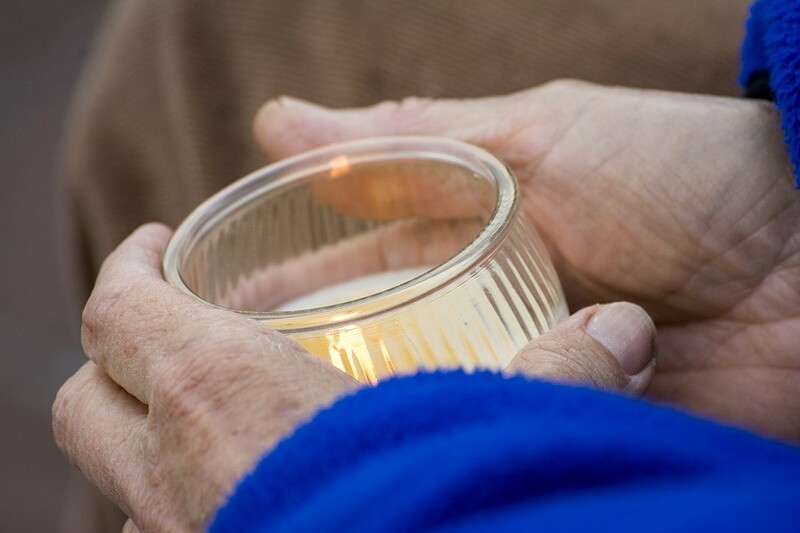 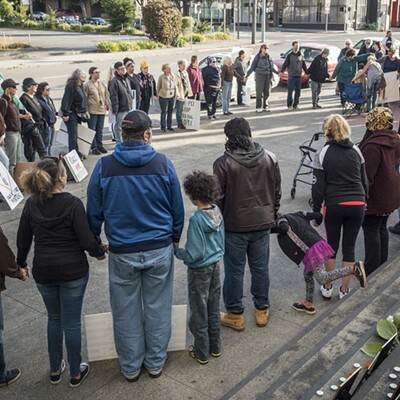 About 100 people gathered at the Humboldt County Courthouse yesterday for a candlelight vigil to honor those killed in violent altercations across the country over the past week. 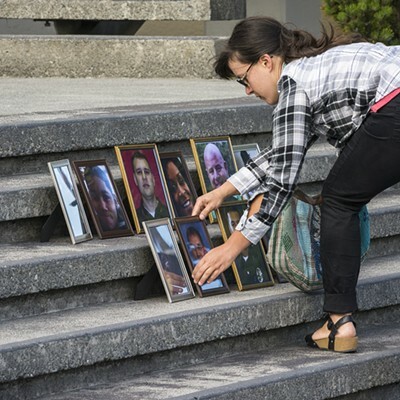 Tamara McFarland, of Bayside, one of the informal organizers of the “Solidarity Vigil for Our Beloved Community,” arrived early to place 11 framed portraits of recently killed black persons and the five deceased Dallas law enforcement officers on the courthouse steps. 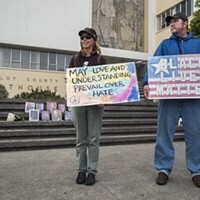 Tamara McFarland, of Bayside, one of the informal organizers of the “Solidarity Vigil for Our Beloved Community,” arrived early to place 11 framed portraits of recently killed black persons and the Dallas law enforcement officers on the county courthouse steps in Eureka. 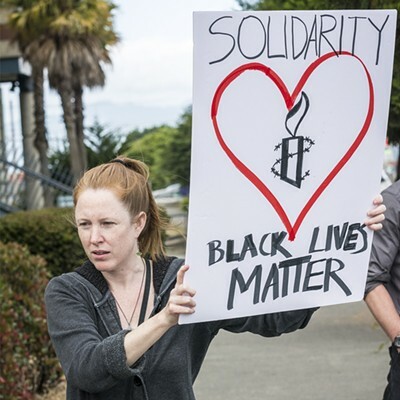 “I too was feeling lonely these last few days, wondering if anyone else was wondering what one could do,” said Leila Roberts, of Eureka, who also helped organize the vigil. 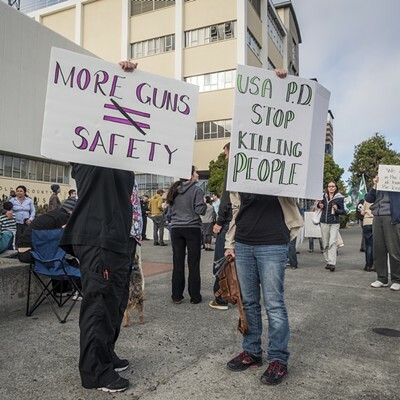 Eureka Police Chief Andrew Mills and other EPD officers arrived early to meet vigil participants and to be present during the vigil. 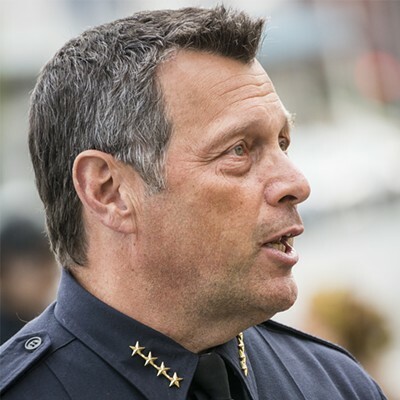 Mills ended up hearing both compliments and criticism of his recently published front-page opinion piece in the Times-Standard, written in reaction to the Dallas killings. 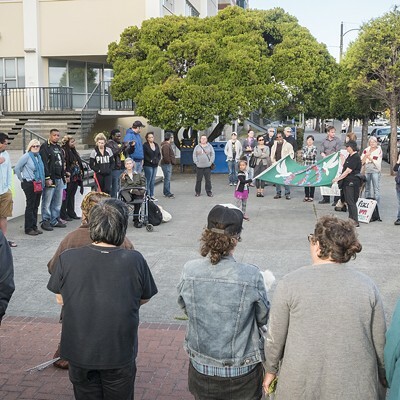 Sarah Torrez, of Eureka, shared her song, “Why,” at the Solidarity Vigil. 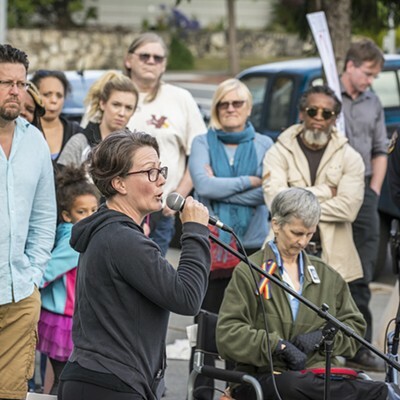 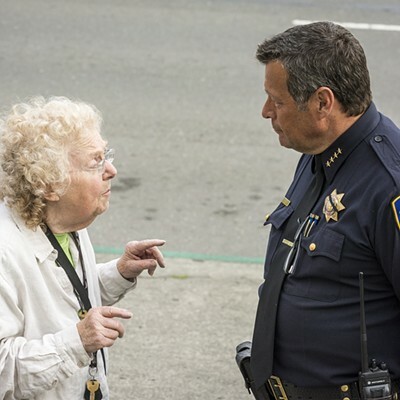 “EPD ‘s long, bad history inspired me to write this song, and I feel as though it’s just being covered up by the new police chief with a smiling face,” she said.